Today I get to be a kid in a candy store, aka, I am going to pick new paint colors. 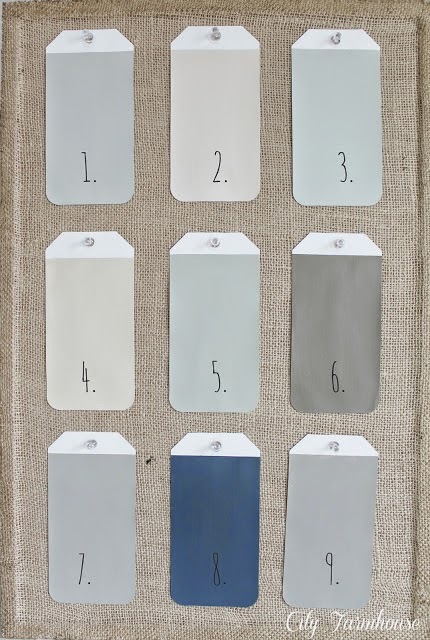 I love color, love paint, love looking at hundreds (maybe even thousands) of paint chips. I often get asked, "What color did you use?" I find that question strange. To me paint is personal. Not a secret, but a personal, I took time to think about it and reflect choice. I will hold,examine and compare two swatches until I "feel" it. What speaks to me may not speak to you. How I see the color, you may not. Hubby is very color blind--I know he doesn't see color like I do. I love bright colors...obviously. as a kid I had a rainbow room--rainbow painted on the wall, rainbow bedding, bright yellow furniture. Sometimes, okay maybe often times I decide the color isn't quite what I wanted and then I mix and stir different cans together until I get the right one. This is a good thing to do with oops colors you can buy at a discount. It might be the overcast day, but I am feeling beachy and these colors speak beach to me. I usually buy interior latex in an eggshell or velvet finish. I most often buy the medium grade paint, except when buying red--I get the more expensive brand. HERE is my paint tutorial on using all of these fun colors. What colors are you loving and "feeling" right now? I enjoyed this post - the subject is something my mom and I talk about, in that she is the one who asks for those specifics that I find odd, haha. She will go to thrift stores with me, to "watch" me shop. She's always hoping she can figure out how my brain works, how I make the things I do. I'll admit when I was younger, it irritated me, but in growing up I've realized that we're just different (thank goodness for the growing up - I could smack my younger self quite often!). There are those people who need very specific directions (labelled colors on paint, embroidery floss, yarn), patterns for everything (clothes, picture painting, furniture building) - those who like a room in a magazine, then look for the exact objects in the picture to replicate the room. Then there are those like us - who wing it, feel it, throw it together.- I don't know that I've ever sewn, crocheted, or knitted something without changing the pattern "just a bit",. As far as color, I am really enjoying blues in every shade. It's a funny thing to look back on the colors I've favored over the years - growing up, I detested pink, loved blue. I came to dislike blue and love pink. Now I quite love both - I blame all the wonderful, colorful British Bloggers! My decorating style is totally different from my resale style. I feel more comfortable with deep rich colors at home, but I love that I can express myself with beachy, rustic, or MMM for my resale pieces. Love your site!